We are very excited to be sharing this wonderful book with you. Please take your time and enjoy looking around our site. We are open all hours, so you can shop when it is convenient for you. 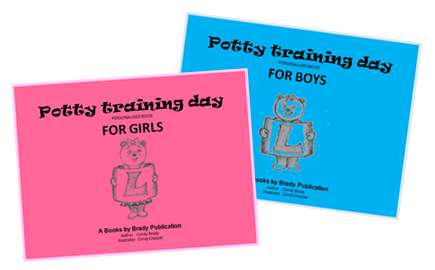 We look forward to sending you your first personalised potty training book or E-book. “POTTY TRAINING DAY” Wow that sounds like fun!